At the end of last month, a big name hit the Toronto real estate scene, specifically the luxury residential market. Engel & Völkers is one of the world’s leading brokerages specializing in the sale and lease of premium residential and commercial property, as well as yachts and aviation. They have over 650 brokerages around the world in 39 countries. 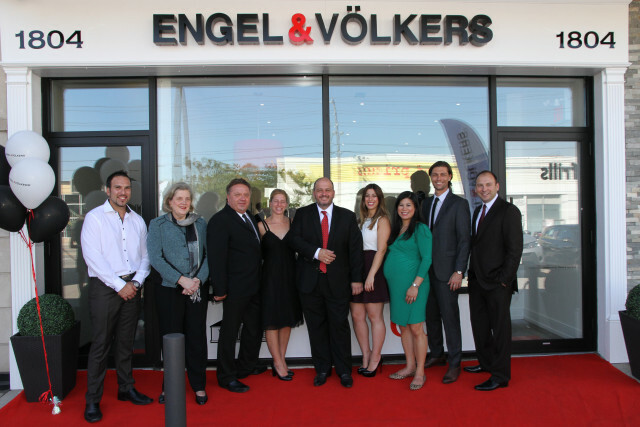 The opening of the Engel & Völkers Toronto Uptown location marks the beginning of their expansion into Ontario. There was recently an open house hosted at the newly designed office and the grand opening was held at Trump Residences Toronto. 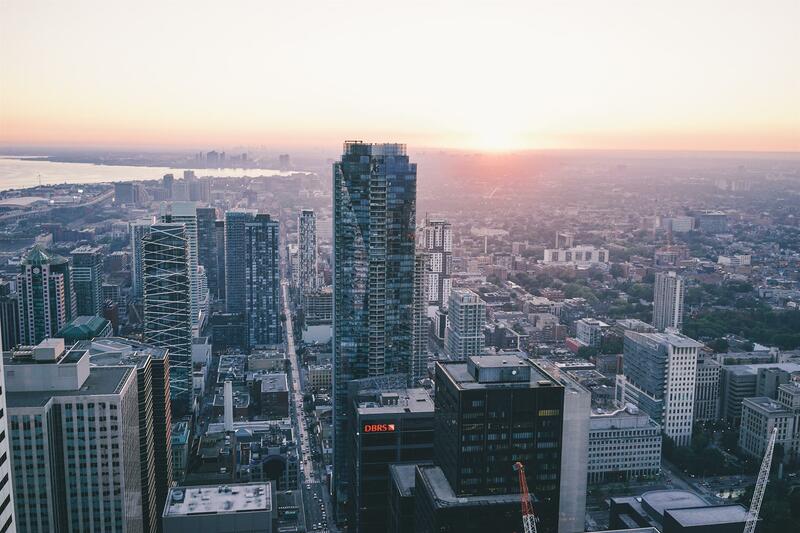 With such a popular name popping up in Toronto, we took the opportunity to ask the owner of the Engel & Völkers Toronto Uptown office, Ron Amendola, a few questions about luxury real estate in our city. Newinhomes (NIH): Other than having offices around the world, what makes Engel & Völkers an authority on luxury real estate? Ron Amendola (RA): Aside from our vast global reach, Engel & Völkers has stood for the same strong core brand values for more than 35 years. The company began in 1977 as a boutique real estate firm whose affluent clientele relied on specialized white-glove service and market expertise that was being provided. The business grew based on client satisfaction, referrals and a growing network of clients who trusted each other’s service recommendations. Out of this history, and as the business grew, systems and tools were created to be able to recreate the same high quality service standards in markets beyond geographic boundaries. Also critical, was that sales representatives that joined our brand are specifically chosen, and must emanate competence, exclusivity, and passion not only in real estate, but also their personal lives. We train our realtors to be the most skilled and networked in the industry, and our marketing materials, training and support systems are second to none. Our client-centric approach empowers us to connect all our clients to individuals who can support and guide their aspirations. We work with clients who have a keen eye and an expectation for outstanding service and quality properties. We help our clients solve their business and private needs by providing significant information. And we love what we do. NIH: How would you define Toronto's luxury home market? RA: Toronto's real estate market is currently growing and thriving. There's no shortage of buyers, and not enough condos, houses, and townhouses on the market here. We are definitely in a seller’s market. For example, in one of the affluent areas that surrounds our office, the average selling price in August 2015 was $1,227,166. According to TREB (Toronto Real Estate Board) statistics, that number is up 12.9% since last year - that is a huge increase. 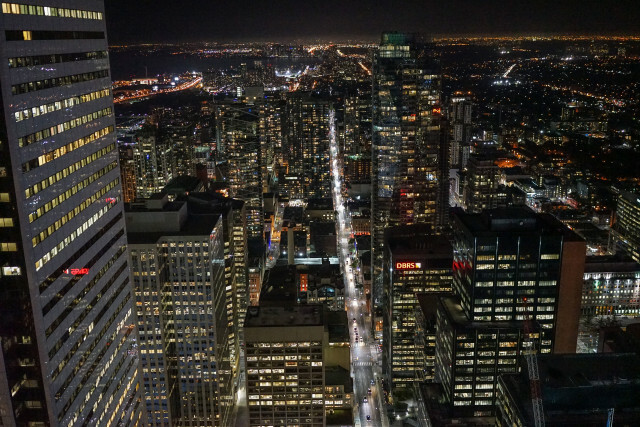 Toronto boasts an abundance of luxurious amenities, such as prominent luxury retail destinations, the exclusive Royal Canadian Yacht Club, and numerous boutique shops in Yorkville and King Street West, which all contribute to the booming market. NIH: Which Toronto neighbourhoods do you believe to be the most affluent? RA: In my opinion, the most affluent Toronto neighbourhoods are Lawrence Park, Forest Hill, Sunnybrook, York Mills, Rosedale, Leaside, Hoggs Hollow, Lytton Park, Bedford Park, Davisville, Ledbury Park, and of course, the Bridle Path. I’d like to add that, people may assume we only take on million dollar homes, but that is not true. We’re a luxury service brand, at ANY price point. A property can be valued at $300,000 and still be of great quality. All clients receive the exact same level of exceptional service, regardless of the listing price. That’s who we are at Engel & Völkers, and we do not waver. NIH: What about Toronto's housing market initially attracted you and Engel & Völkers to the city? RA: I have been an active broker in Toronto and its surrounding areas for over 25 years. Engel & Völkers selected Toronto because it is a lively and diverse cultural hub. Recently, it surpassed Chicago as the fourth largest city in North America, and it frequently ranks high on lists of the world's best cities. Torontonians love the city's multicultural landscape, the friendly atmosphere, the variety of shops and amenities, and the never-ending list of things to do. Toronto is international and Engel & Völkers has the global presence to assist our clients who are interested in having a home here. NIH: How do you foresee Toronto's luxury home market developing over the next few years? Over the next decade? RA: I strongly believe that Toronto’s luxury home market will continue to develop over the next few years. There are many young professionals and families in Toronto that are looking to upgrade. Many foreign buyers (from Europe, China, Russia, Middle East, etc.) are purchasing properties in affluent neighbourhoods in Toronto. NIH: If you were to compare Toronto's luxury home market to any other around the world, which would it be? Please explain. RA: A solid comparable to Toronto’s luxury home market would be New York City. Both have an international corporate presence, and share the same diverse, rich culture. NIH: Is there a market for yachting and aviation in Toronto? I definitely believe there is a market for yachting and aviation in Toronto. Many Torontonians travel annually to Europe, for example, and they rent out yachts, and/or charter private jets - we offer that to our clients now. No other brand or brokerage in Toronto can do that, except for Engel & Völkers. By focusing on resale and new housing in Toronto, offering luxury service to all clients, and having a global reach, Engel & Völkers will surely make a strong impact on real estate investment in Toronto. Thank you to Ron Amendola for taking the time to chat with us about Toronto’s flourishing housing market.